Imagine this—you're in a hot tub. Nice! You're also surrounded by water. Ooh. 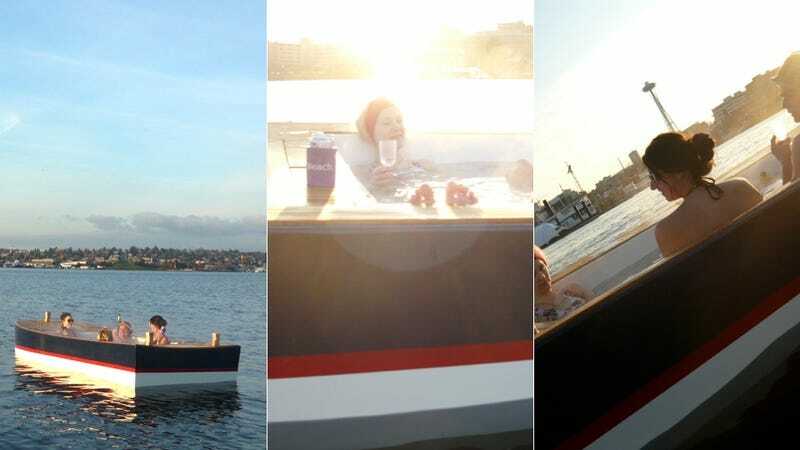 You're also out boating, while hot-tubbing, while drinking. All at once. The future is now and it is steamy and very wet.